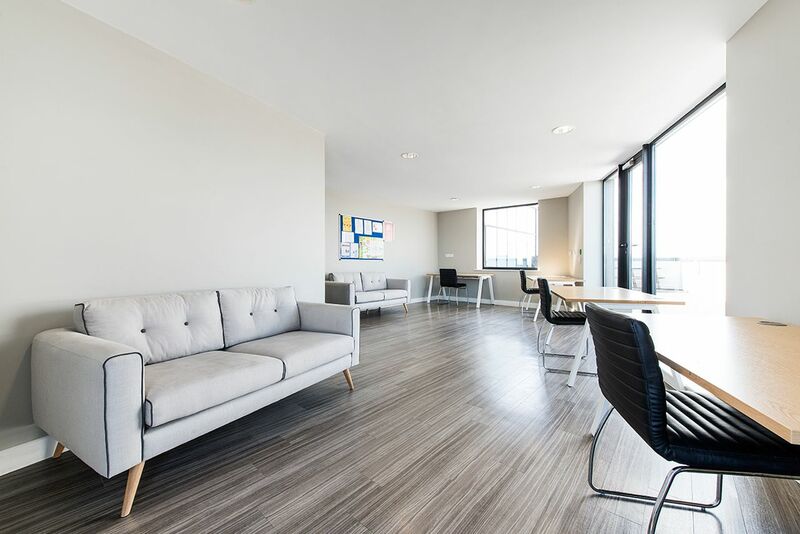 Broadstone Hall is a modern student residence in the northern part of central Dublin, putting you right in the middle of the excitement. Shops, museums, pubs, bars and restaurants are all nearby and the city’s colleges and universities are easily reachable， either on foot or by bus. Trinity College, the National College of Art and Design, Dublin Institute of Technology, and the Royal College of Surgeons can all be reached within 30 minutes on foot, whilst Dublin City university is just a 20-minute bus journey away. If you’re studying at University College Dublin, a bus will get you there in 40 minutes, or carshare to be there in 20 minutes. The apartments in Broadstone Hall are all shared, ranging from three to seven bedrooms in each one. 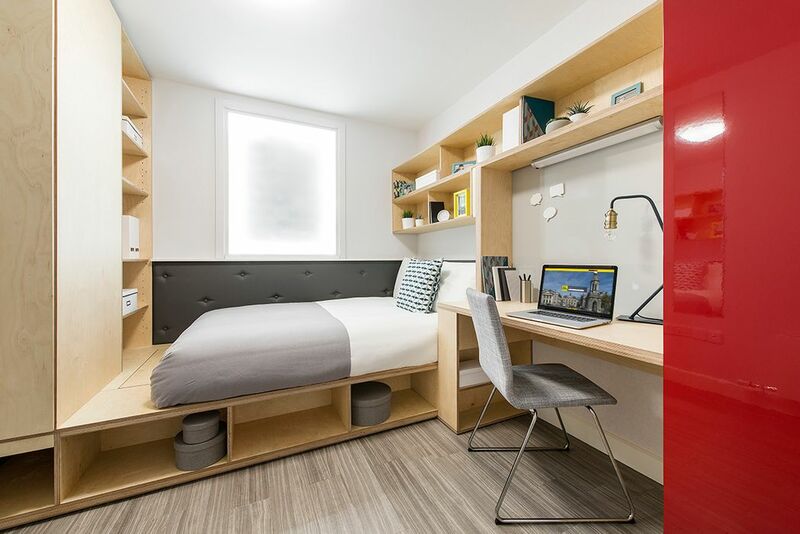 Whichever size apartment you choose to live in, you’ll have your own private bedroom, which will have a double bed, a glistening en-suite bathroom, a desk and chair, a wardrobe, and plenty of shelving for storage. It’s just the kitchen and living areas you’ll be sharing with other students. As a resident, you can receive the help and assistance of the friendly Uninest team whenever you need it. Your room fees are inclusive of all bills and you'll get up to 100MB WiFi. There are plenty of opportunities for socialising with others at Broadstone Hall. 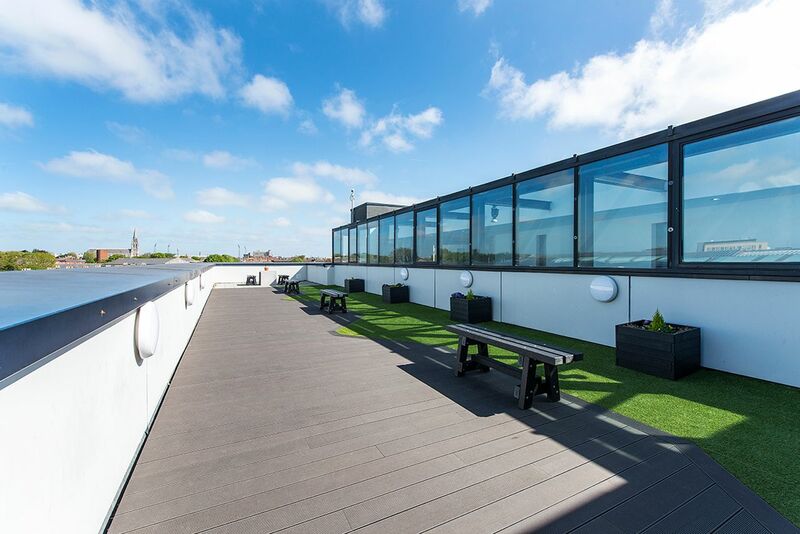 Roof terrace is a fancy place to staring out over Dublin as the sun goes down. You can also cosy up in with your favourite movie in cinema room. Games room provides pool table and Xbox booth for you to play with friends.